It’s been a pleasure working for this sweet couple. Thank you for taking your time from your busy schedule and work with me along the whole progress. 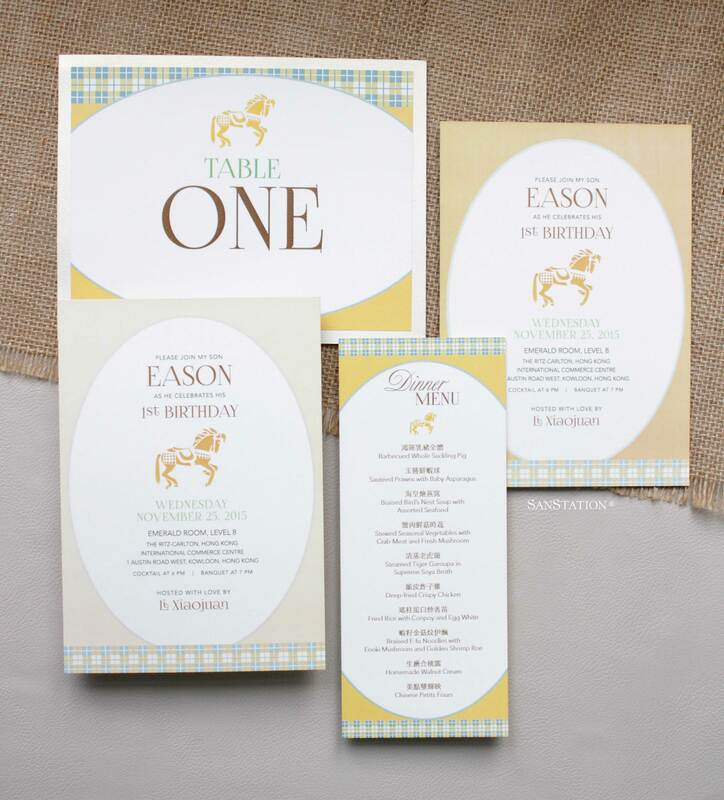 I am so happy to be your invitation designer. 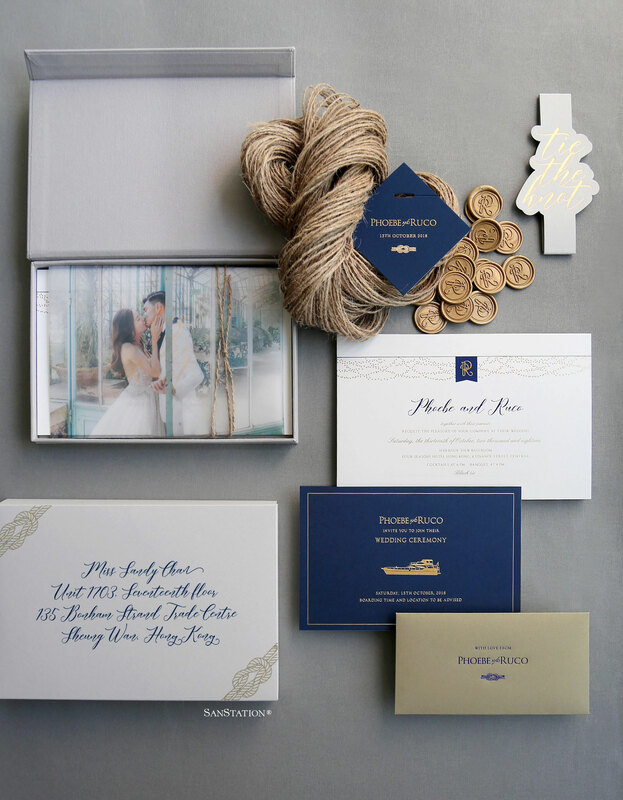 Thank you for sharing your story with me, so obsessed with this tie the knot and nautical themed wedding invitation box set. It’s be my pleasure working with this talented couple. One writer and one artist to complete the story of this set of invitation. 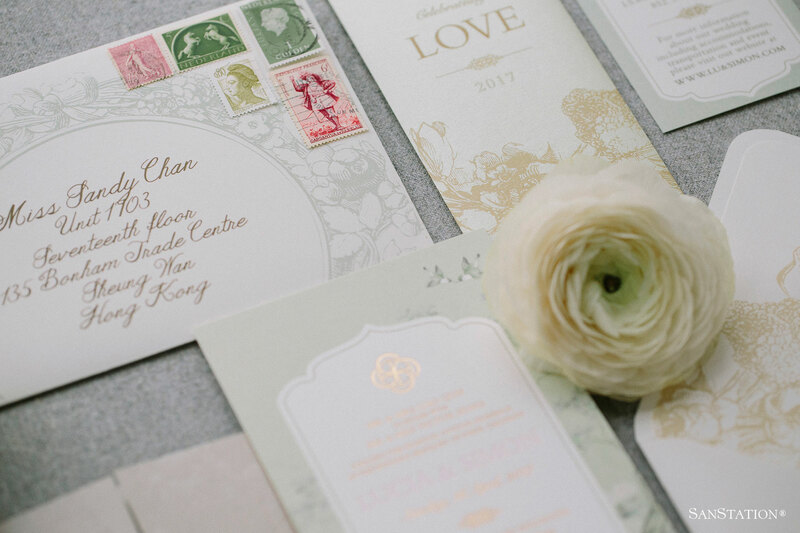 Sharing how excited when my bride-to-be send out her invitation, and it is what I called sharing love moments. Thank you for your trust in me, can’t be more happier to work with such creative people. Wishing you both all the happiness and love in the world! 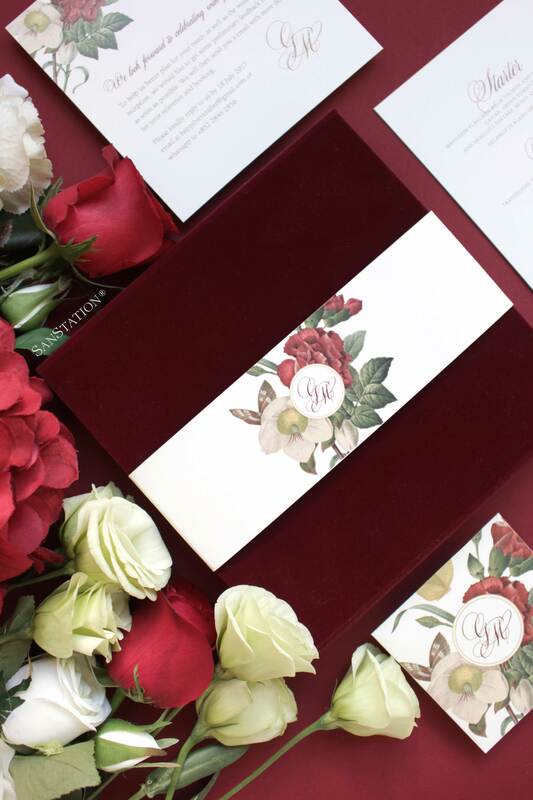 Smashing traditional red and gold wedding invitation in Asia. Here comes another blue suite from our designer collection. 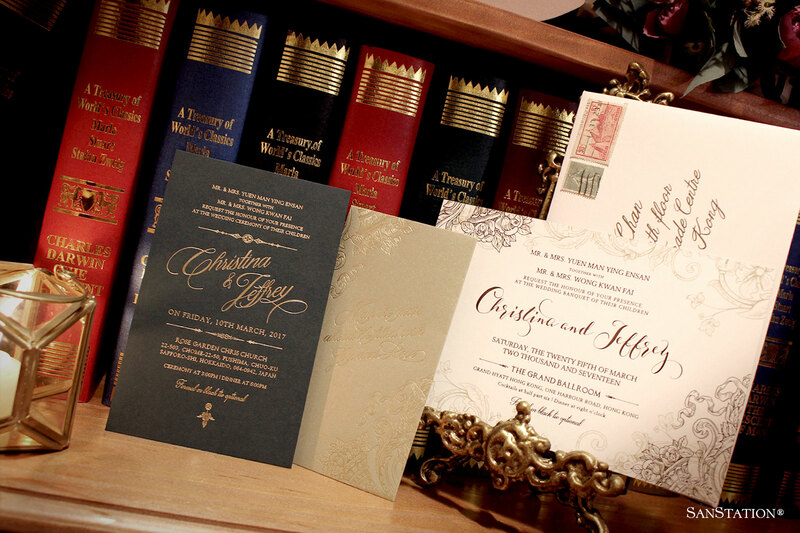 Hard cover box set invitation has become very popular from our brides-to-be in Hong Kong & China these days. This design is now available to order and it can be ordered with your favourite color as you wish. 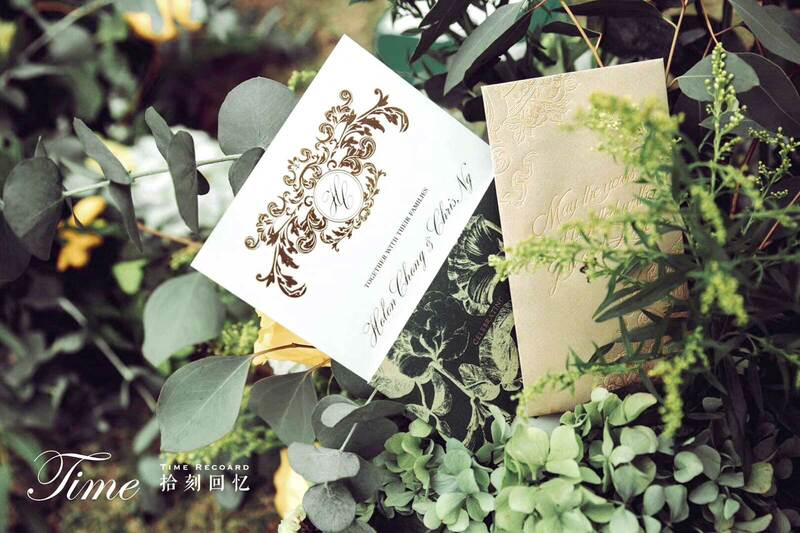 It's our honor and privilege to have designed the invitation suit for Rikko & Phil. We thank you for your big trust and highly appreciate your recognition of our design and work. Wishing you both a lifetime of happiness together! HK$120 for a pack of 10 envelopes + shipping. HK$ 250 for a pack of 50 envelopes + shipping. Our 2017 X’mas calligraphy stationery box set. 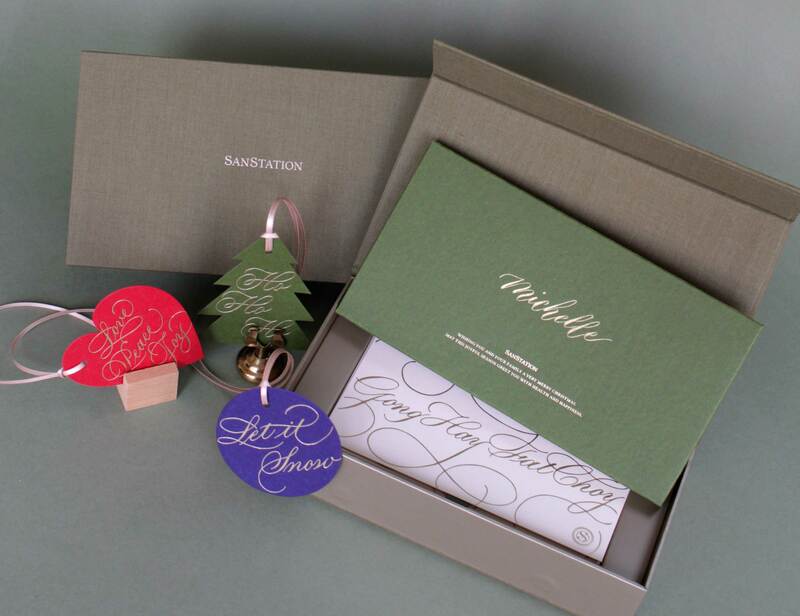 This year our collection is featuring Hailey’s beautiful writing, a luxury stationery box mounted with linen paper designed to hold our x’mas gift tags and red packets. A perfect corporate gift idea to celebrate any occasion with your business partners and clients. Congratulations to Helen & Chris who are saying I do @repulsebayhk today! 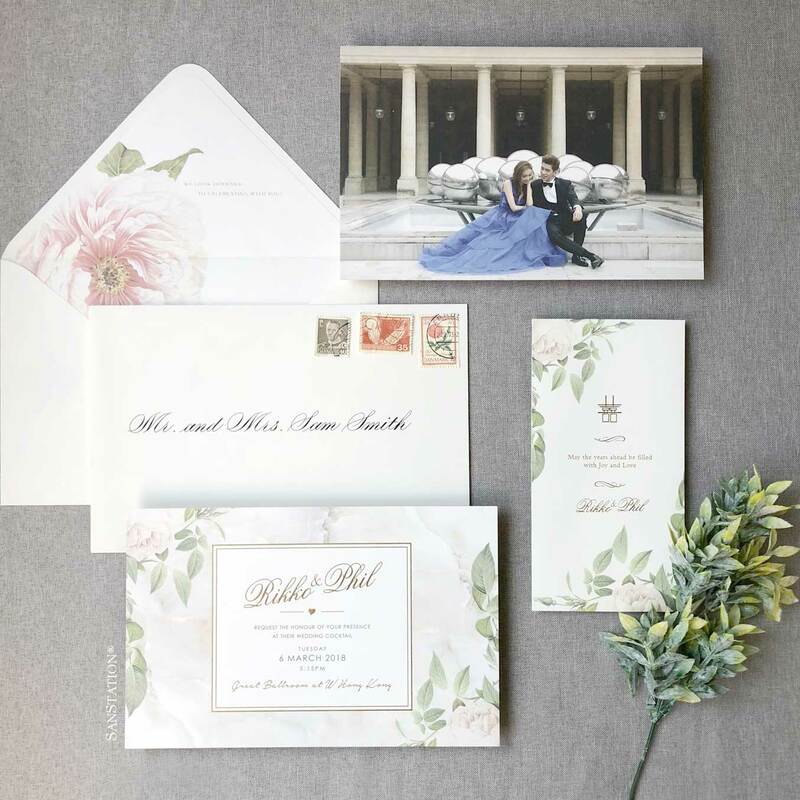 So obsessed with how the vintage floral print wrapper place on our popular classical design invitation. 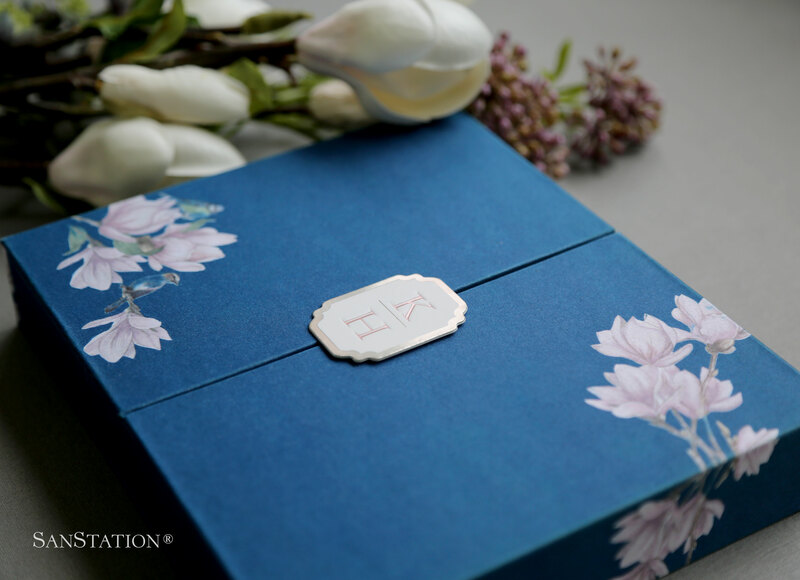 An elegant floral themed box set included an acrylic content and a velvet box. 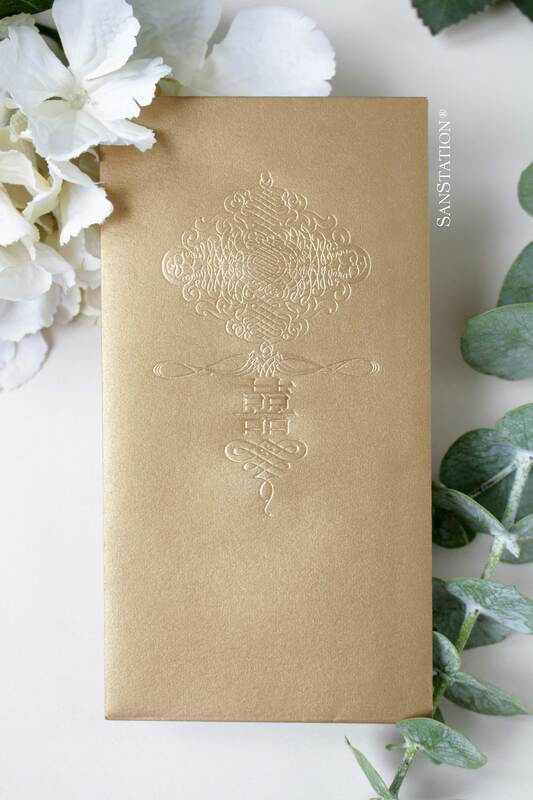 Money envelope, reply card, info guide and schedule card all can be gathered nicely in a box set, perfectly for a destination wedding. Velvet box comes in many different colors to suit your wedding color scheme. We were excited when this beautiful mother told us she was throwing a garden party for her baby’s 100-day celebration. The party took place at the Central harbor front, against the backdrop of the iconic ferris wheel. The main components included a romantic secret garden, and a banquet held inside an elaborate marquee which was embellished with an extravagance of flowers. 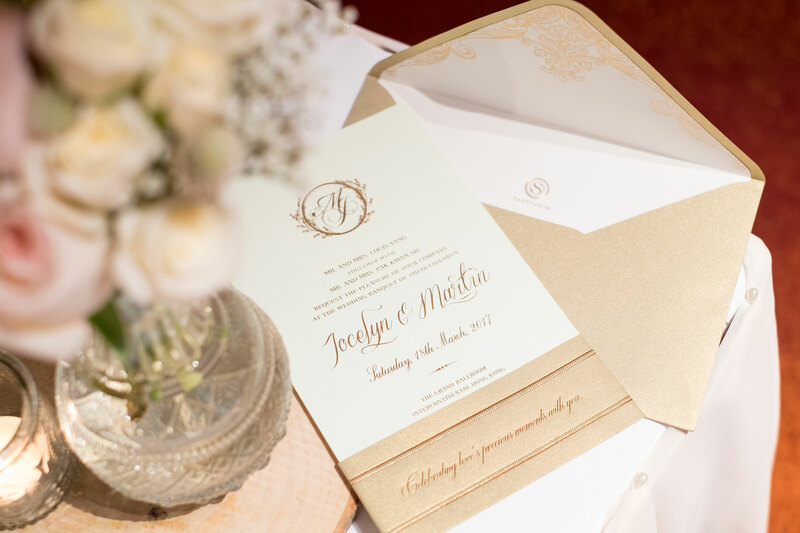 We adorned the paper with foil gold press to highlight the parents’ love for their little prince and to give the stationery suite a royal and classy feel. Sending congratulations to Jocelyn & Martin who are tying the knot at Intercontinental Hong Kong today. 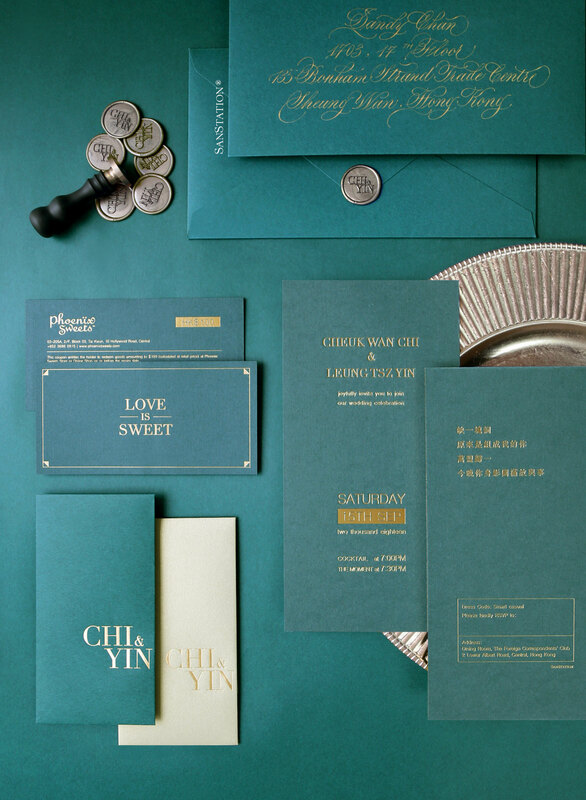 Presenting the full invitation suite of Jocelyn & Martin. A beautiful set with a nice color combination of green tea and gold. Hope you have a great party tonight at Intercontinental Hong Kong. Congratulations to Christina & Jeffrey who hosted their wedding party at Grand Hyatt Hong Kong last night. 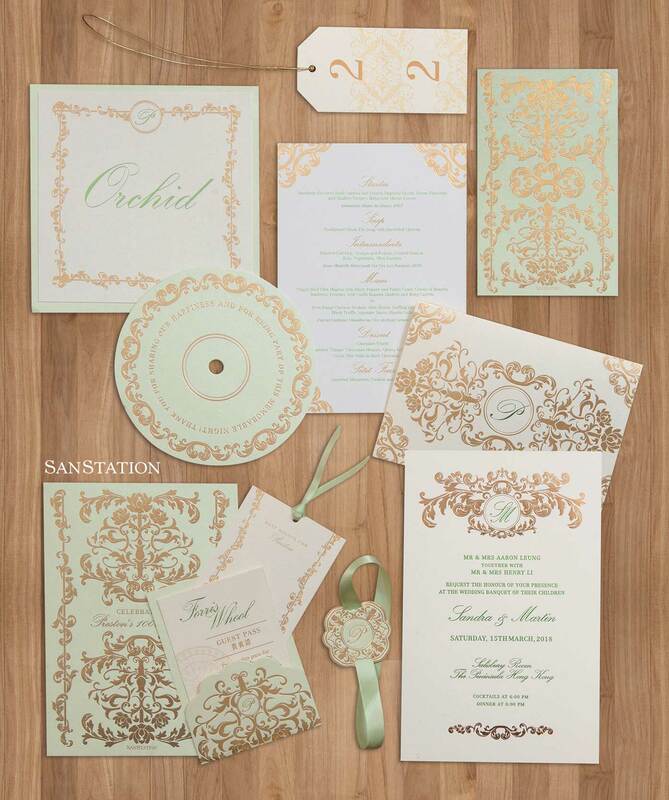 Here’s the complete set of their antique invitation suite. Happy birthday to the little cutie pie! what a fabulous party! Sure this will make a statement for your life journey. This is just the first of many "happy birthdays" for you. Have a deliciously fun 1st birthday! 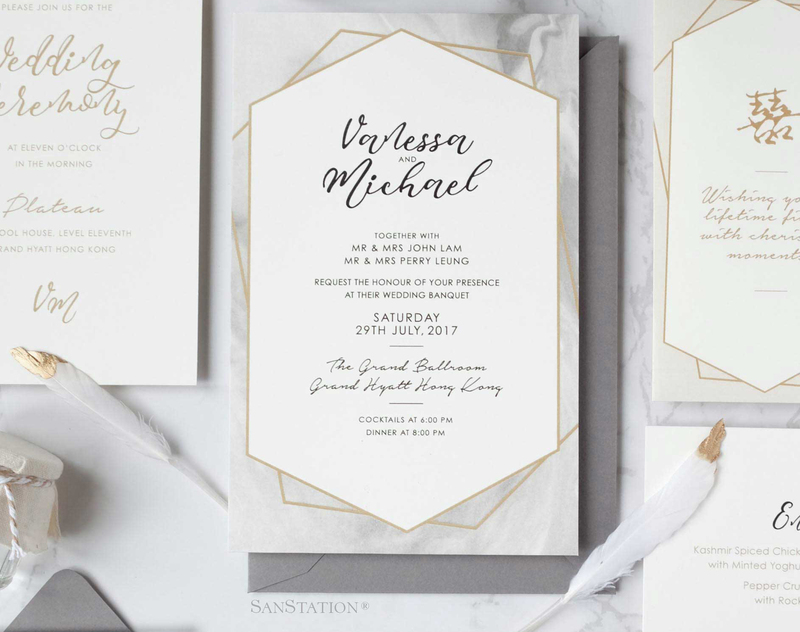 Marble print invitation came in trend since 2015 and it’s still very popular nowadays. Since marble automatically gives a really modern feel, we would suggest to pair with some modern calligraphy fonts. Always good for a modern and chic wedding. Sending the biggest congrats to our love-birds Luica & Simon who are tying the knot at Four Seasons Hotel Hong Kong today. This beautiful love birds prints was inspired by a famous Chinese bird painter.